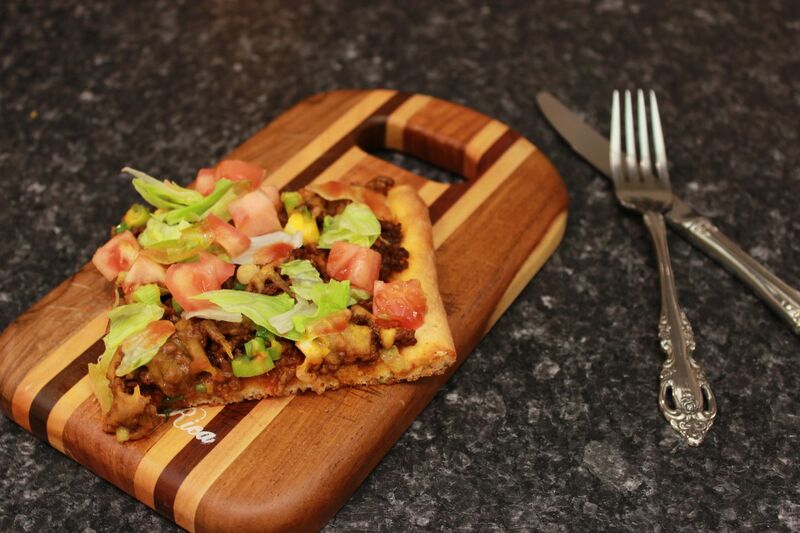 I am a huge pizza fan and I definitely love me some Mexican food too! 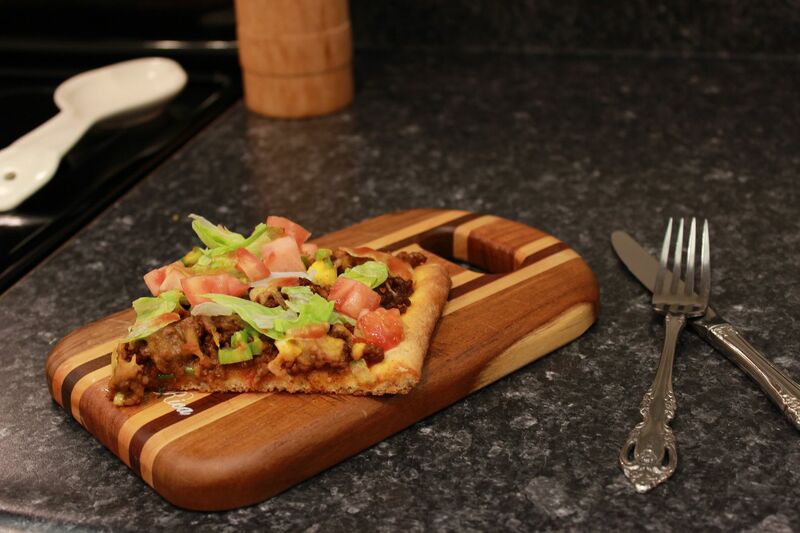 Combine the two and you get an incredibly tasty Taco Pizza. I'm talking one of the best things I have made in a long time! This dish is so easy to make; there is no need to prepare anything ahead of time and I simply prep the ingredients as I go along. 1.) Spread pizza dough out on a greased cookie sheet and prebake for 5 minutes (or according to instructions on package). 2.) While the dough is baking, brown 1 pound ground beef. Add 1 package of taco seasoning and stir, coating the browned ground beef. 3.) Once dough has been prebaked, spread your favorite salsa all over the crust (this will count as your pizza sauce). 4.) Top the salsa with seasoned ground beef. 5.) Sprinkle sliced green onions and shredded cheese over the beef. You can use as much or as little as you like, whatever your preference is, that's perfect! 6.) Pop the pizza back in the oven to continue backing another 8-10 minutes. 7.) While the pizza is baking, dice up some lettuce and tomato. 8.) 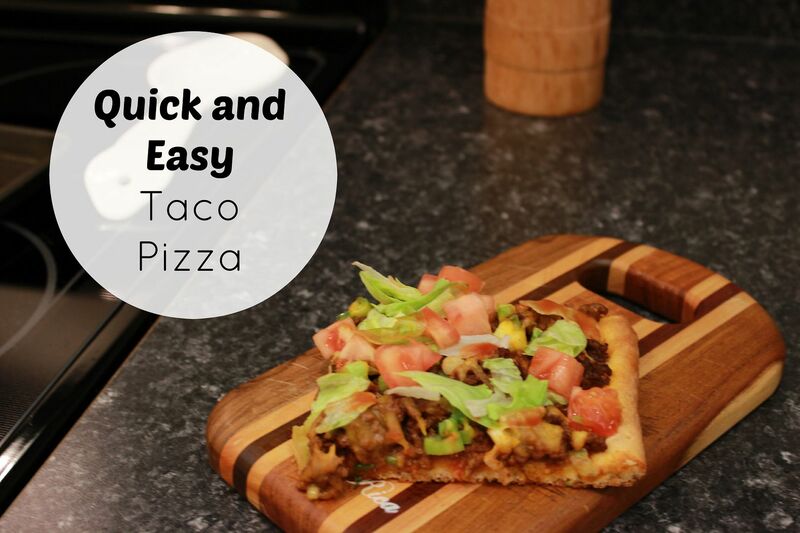 Once the pizza is finished baking, top with diced lettuce and tomato and then drizzle taco sauce on top.